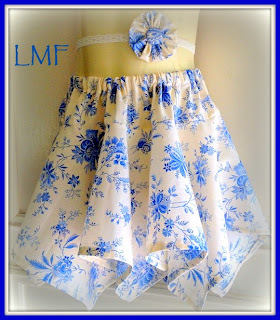 Little Miss Fascinated: Skirt Set Giveaway.. It's that time of year where celebrations go hand in hand with the calender! Christmas, New Years, School Holidays - YAY!!! 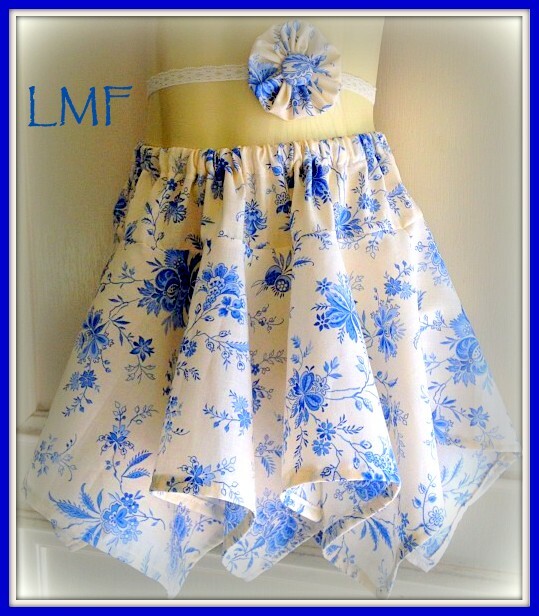 To celebrate the start of a new year at Little Miss Fascinated, I have this gorgeous 'Raggedy Ann Skirt Set with Matching Headwrap' in Size 3 that needs a new home to go to - and a new Little Miss to start her 2013 twirling in!!! All you have to do is leave a comment below and it can be yours! No having to 'like' pages, or enter links on a daily basis... Just one simple comment below and it could be on it's way to you - I'll even post it off ANYWHERE IN THE WORLD for free!! So this Giveaway is open to my international visitors too! I will draw a name out of the comment list via random.org on Saturday 12th January and announce the winner on here & on the Facebook Page. A little 'Happy New Year' from me to you. GOOD LUCK & COMMENT BELOW!! So pretty!! I would LOVE this for my little girl!! This is gorgeous and very generous of you. Thank-you for the opportunity. My daughter would look even more lovely than she already does wearing this. I have everything crossed for luck to be on my side. Happy New Year to all. What a stunning set! I'd love to win this for my Princess. I can imagine a little girl's eyes light up when she sees them! Beautiful! Every little girl needs a twirl skirt! Thank you for this chance! Oh no!! My blog accidently deleted your comment when I was replying Tash!! Gorgeous outfit, the fabric is stunning! , thank you for the opportunity you are very generous. Love,love,love it!!! One of my two grandaughters would look heavenly in it. My granddaughter LOVES 'Twirly Skirts' as she calls all skirts. Sadly, my grandson does too and pouts when he's not allowed to wear one to twirl in. This skirt is gorgeous! This set is IRRESISTIBLE!! Thanks for the opportunity to win! It is so beautiful - my daughter loves nothing more than twirling around in front of her mirror. Wow what a wonderful prize! Thank you for the opportunity! How beautiful! Thank you for the chance!!! That skirt is beautiful! It would be perfect for my little lily! Just knew this awesome giveaway from FB notification. Such gorgeous skirt. Thx for the chance. Such a beautiful skirt! My daughter would love it! What a gorgeous skirt <3 A fantastic competition!! It's addorable, my daughter would love it.